Exploration best practices for any natural resource commodity should aim to reduce the resource risk prior to significant capital investment, for a fraction of the cost of the planned investment. For geothermal energy, the high risks cost of proving the resource is one of the key barriers facing the industry. 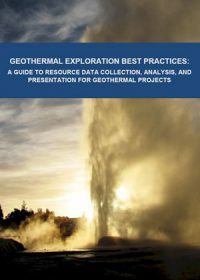 This guide lays out best practices for geothermal exploration to assist geothermal developers and their contractors to address these risks in a cost-sensitive manner, raising project quality. Companies that can demonstrate that their project has followed such best practices will find it easier to access finance. In the same way, this guide will be of use to financers of geothermal projects, assisting the assessment of projects to ensure project risks have been addressed.